NICHOLAS C. ROMER grew up in Lansing, Michigan. Nick moved to West Michigan in 2004 to attend Grand Valley State University and play football for the Grand Valley Lakers. Nick attended Thomas M. Cooley Law School in Grand Rapids, Michigan where he met his wife Jackie. 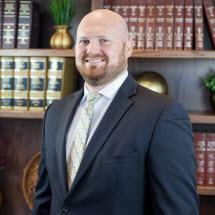 While in law school, he served as a Senior Associate Editor of the Thomas M. Cooley Law Review, was a member of the Moot Court National Team and served as a Judicial Intern with the Barry County Trial Courts. Prior to joining McDonald Pierangeli Macfarlane, PLLC, Nick was an associate with Jensen, DeHaan, & Symko, P.C. where he practiced in the area of Social Security Disability before the Social Security Administration and United States District Courts.